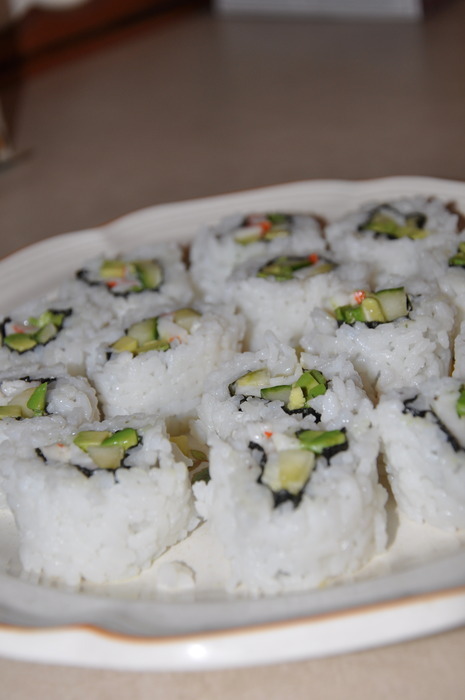 We attempted sushi using some of Doug’s tips and this recipe: http://japanesefood.about.com/od/sushiroll/r/californiaroll.htm - ginger and avocado are good for you, so we’re assuming this is too. - Don’t cheap out on the ingredients, make sure they are real Japanese products. - Rice Vinegar is important. - If the Nori goes stale and mushy heat it over an element to crisp it up. 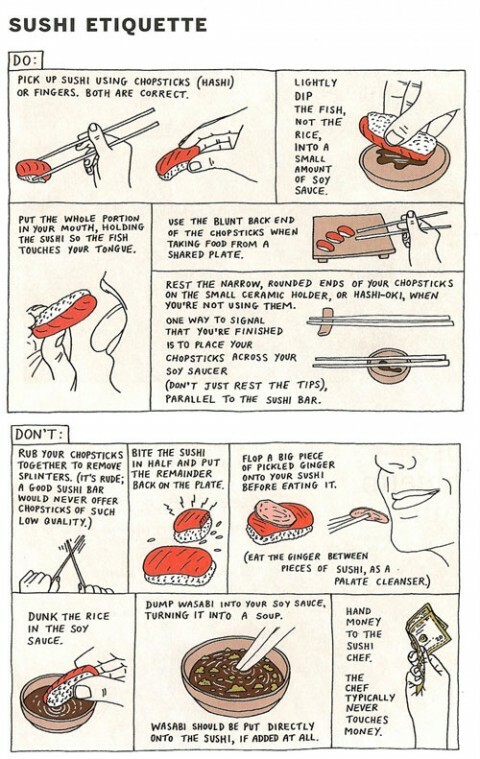 - Make sure the rice is warm (not hot) when you roll the sushi. - Put plastic wrap on your bamboo mat so the rice doesn’t stick. - Put mayo on the Nori to make everything stick together nicely. - Use brand name Kikkoman soy sauce - it’s just better. - You can roll the rice on the outside or inside!